Ronald Koeman has advised James McCarthy to withdraw from the Republic of Ireland squad for the upcoming 2018 World Cup qualifier against Austria. 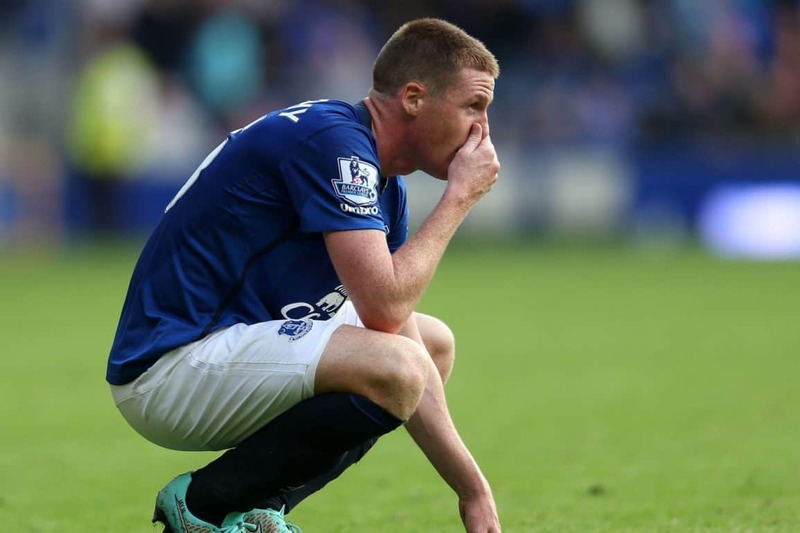 Despite missing Everton’s previous six games due to a groin injury, McCarthy started both 2018 World Cup qualifiers against Georgia and Moldova, playing the full 90 minutes and 81 minutes respectively and his involvement led Koeman to claim the midfielder was ‘massively overloaded‘ before accusing Republic of Ireland manager of ‘killing the player’. McCarthy is currently sidelined with a hamstring injury sustained in training but, despite managing just 57 minutes for Everton since the last international break, he has been included in the Ireland squad for the trip to Vienna on Saturday week. Koeman, however, insists the player is not fit and has urged him to remain in England and work on his fitness rather than travel to Austria with Ireland. Koeman: “The player is not fit. The player is not involved in team sessions. I think to have a call-up he needs to be close to be fit but it’s a little bit of the same story to what happend last time, we spoke to James – my advice to James is stay here and train and be fit as soon as possible but the final decision is by the player.